NEW LAWSUIT HITS DOJ, FBI OVER ILLEGAL ANTI-TRUMP DOSSIER. former DOJ attorney. 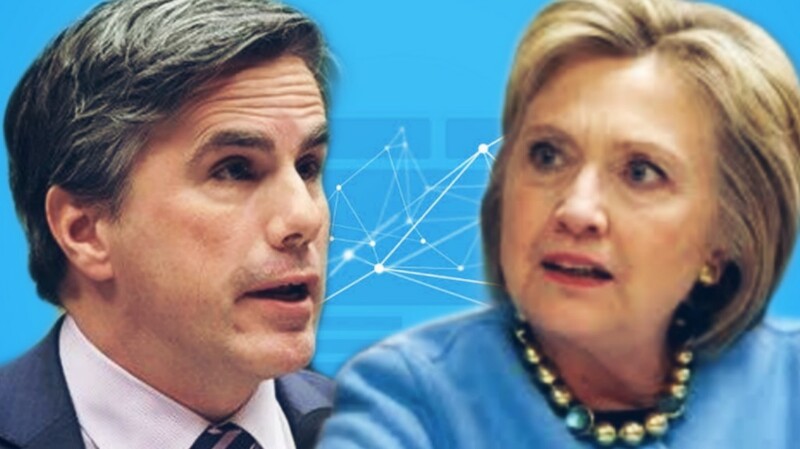 While at Perkins Coie, Sussman represented the Democratic National Committee (DNC) and Hillary Clinton’s campaign during the time Perkins Coie secretly paid for the development of the anti-Trump dossier the DOJ used to obtain FISA warrants to spy on the Trump campaign. The lawsuit was filed after the FBI failed to respond to a FOIA request dated October 5, 2018. I would love to see these corrupt civil servants come to the end of the road with jail time but we as Americans have become victims of the Corrupt Demorcrat Party now we even hav 3 of the worst bossing Pelosi around and spewing hate against yhe President and his supporters and its been ordered by the Demorcrats that thier names cant be mentioned in a negative way on the floor of Congress no one will go to jail no one will pay for thier crimes against America or the American people because the Demorcrats continue to make America suffer because of thier personal hate for Trump.We as Americans no longer trust the departments who are suppose to have the best support for America as possible and that system is broken.The illegals the Muslims rule the Demorcrat Party and the Demotcrats have shown that they rule the Justice system and its very sad to watch our country go down from inside our own system.Its not other countries we should fear its the enemies from within.We have been pushed aside by hate power and greed and the best interest if America has been buried in thier corrupption and we cant dig our way out because we can no longer exspect those who are paid to keep us from harm to do anything but talk about it cover it up and move onto more corruption and power games with the Demorcrats.We as a Nation no longer feel safe in our own Country and no matter how much is said to try and fix it not a damn thing will happen that will benefit the American people the only ones who have the priveledge in this Country are the ones who are destroying it. AMEN AND AMEN. I agree with you, whole heartedly. It is so..... unfortunate...... for the American People. Our Veterans, Our homeless, Our elderly, etc.... all play second fiddle to.... the illegals, anti-American political officials, and corrupt politicians, just to name a few. AND, it is "We" the American People, that are paying the taxes, for this B.S.